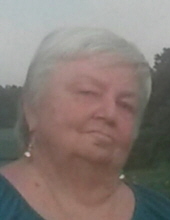 Kinston-Karen Marcom Mozingo, 75, of Kinston, passed away Monday, November 12, 2018, at home surrounded by her family. Karen was born on March 17, 1943, in Lenoir County to the late Early Bryant Marcom, Sr. and Ethel Grady Marcom. Karen began her school career at Moss Hill School. In 1956, she and her mother moved to Grainger Avenue in Kinston after the passing of her father. She finished her education at Grainger High School in 1961. In 1962, she married Bobby Mozingo, making her a military wife and homemaker. Karen was truly the matriarch of her family. She took care of everyone and everything as Bobby was away serving his country for many years. She never met a stranger and had compassion for everyone she met. Karen loved to work in her yard and always loved beautiful flowers. Karen had a great love of history. She was a Vice President of The Daughters of The Confederacy of Onslow County, President and Vice President of the Seven Springs Area Historical Commission, Kinston-Lenoir County Battlefield Commission, and the Bladen County Historical Society, as well as serving on the board of the Harmony Hall Plantation. She especially enjoyed being a Civil War and Revolutionary War Re-Enactor. When her youngest son was a Cub Scout, Karen served as a Den Mother. Karen loved working with the retired military. She served as a liaison between the Vietnam Veterans of America Post 272 and the Ladies Auxiliary. She also worked with the Vietnam Veterans Association to help other veterans. Before her health began to fail, Karen lived in Seven Springs and served the community in many ways. She served three consecutive sessions on the Seven Springs Town Board, as well as on the Committee for the Seven Springs Christmas Parade. A graveside service will be held Wednesday, November 14, 2018 at 11 a.m. at Pineview Cemetery. Karen is survived by four children, Robert Joseph Mozingo, Jr., and wife, Elva, of Kinston, Karen Mozingo Byrd, and husband, Mike, of Kinston, Jennifer Mozingo Hill, and husband, Harry, Jr., of La Grange, and Jordan Houston of La Grange; eleven grandchildren, Matthew Mozingo (Sabrina), Stephanie Sheppard (Bradley), Dalton Mozingo (Kristen), Devane Bailey (Jordan), Daniel Byrd, Adam Byrd, Trace Hill, Kristin Hanlon (Jamie), Taylor Eubanks (Cody), Andrew Mozingo (Michaela), and Brooke Mozingo; seven great-grandchildren, Brady Sheppard, Michael Mozingo, Cash Bailey, Stephen Mozingo, Graham Hanlon, Skyler Bailey, and Lexi Gray; a number of nieces and nephews, and her faithful pet companions, Beau and Mia Belle. In addition to her parents, Karen was preceded in death by her husband of 52 years, Bobby Mozingo; a son, Douglas Allen Mozingo; and two brothers, Earl Marcom, Jr., and Lib Marcom. The family would like to thank her nurse, Mary Cooke, and caregiver, Lois, along with 3HC of Kinston for the care given to their mother during this time. They would also like to thank Robert and Cash with Respracare. The family will receive friends Wednesday following the service, and at other times they will be at Karen’s home. Online condolences may be expressed at www.rousefh.com. In lieu of flowers, memorials may be may to Vietnam Veterans of America, Chapter 272, 2805 Cemetery Road, Greenville, NC 27858. Arrangements are entrusted to Rouse Funeral Home, La Grange. To send flowers or a remembrance gift to the family of Karen Marcom Mozingo, please visit our Tribute Store. "Email Address" would like to share the life celebration of Karen Marcom Mozingo. Click on the "link" to go to share a favorite memory or leave a condolence message for the family.